Casino.com is a fully licensed online casino which aims at providing its players with a gaming experience that can be best defined as outstanding. In order to do that, it offers gaming products that impress not only with their wide range but also with their high quality and unique design. On its well-designed website, players can find some of the most popular casino classics online such as Online Blackjack, Roulette, Slots, Video Poker and others. They have the chance to enjoy them at any place and time they wish due to the fact that the company has a mobile casino as well. The online casino also gives its players the opportunity to get a very realistic feeling of their favourite casino game without even leaving their home. 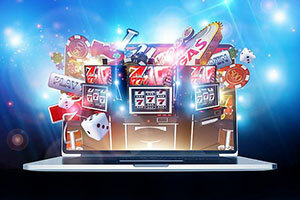 Thanks to the live dealer games it offers, they have the chance to immerse in a completely different gaming world online and enjoy themselves. Moreover, the cutting-edge software in use also greatly contributes to the ultimate experience they are able to gain from playing online. The company believes in fair and responsible play and this is the reason why it has incorporated a number of advance security systems in order to provide its players with a high level of protection. Its gambling activity is strictly regulated and monitored which brings the needed peace of mind to its players. Online users have the chance to select the most trusted and convenient for them payment solution in order to make deposits or withdraw their winnings as the company offers many of the most popular eWallets as well as Internet Banking methods. The minimum amount players can withdraw varies, depending on the chosen online payment method. If they decide to use Skrill, Webmoney or Neteller, their minimum limit is $10. Whenever their choice is Bank Transfer, the set minimum amount is $50, however this regulation doesn’t apply for the following currencies GBP, EUR, DKK, USD, AUD as their limit will be equal to $20. The limit for bank draft is $50 and for the rest of the available payment methods – $20. The minimum deposit that can be made is $10. 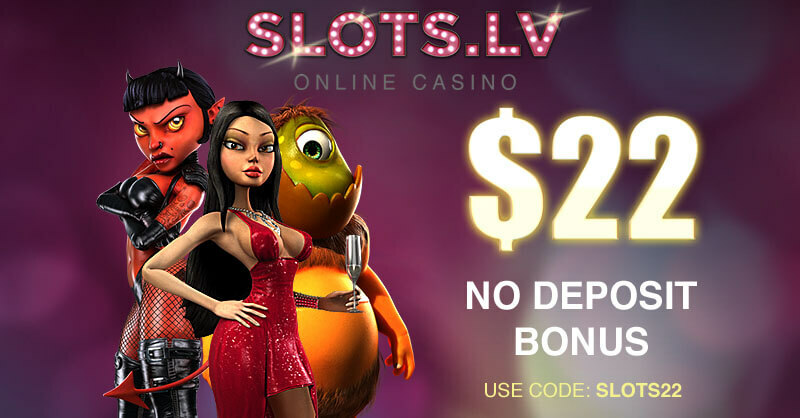 Casino.com offers its players the chance to take advantage of a number of no deposit bonuses. These bonuses are exclusive and change with time which is the reason why it is best if the online users check the website of the online casino on a regular basis. In order to get the no deposit bonuses, they have to enter a unique code that will allow them to active the promotion. 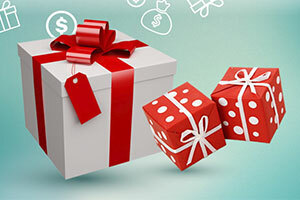 The online casino offers a generous welcome bonus for its new customers. 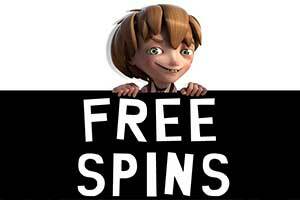 UK customers can receive 20 bonus spins upon registration. First deposit of £20 or more gives the opportunity to claim 100% up to £100 bonus + 20 bonus spins. Players who have claimed the welcome bonus will receive 20 bonus spins per day for eight days on the top of all bonuses. That makes a total of 200 additional spins! Non-UK customers can take advantage of a 100% welcome bonus of their first deposit that is up to $400. In order to provide its new players with even better online experience, the online casino also gives them the chance to get reload welcome bonuses that are up to $400. If they manage to take advantage of all the bonuses, they will end up with around $3,200 bonus funds. However, prior to playing, it is compulsory to get familiar with all of their terms and conditions. 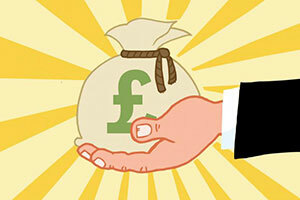 The online casino also has a number of regular bonuses which non-UK players can take advantage of. Some of them are Red and Black, Make your Match, Refer a Friend and others. The exclusive bonus Red and Black applies for all online games and it is available on a weekly basis on Wednesday. Depending on their chosen colour, players have the chance to either get 100% up to $400 or 50% up to $400. Respectively the wagering requirements are 40x and 20x. In order to show how much it values its loyal players, the online casino rewards them with loyalty points. They are given to players that play real money games. The more they play their favourite online games, the more loyalty points they will get. After a while, the online users can exchange the collected loyalty points for real cash. Casino.com has teamed up with the prominent software provider Playtech which is one of the reasons why it offers high quality online games. The online users have the chance to win big by playing a number of progressive slots, including Deal or No Deal UK, Beach Life, Thrill Seekers, Wall Street Fever, Esmeralda, Gladiator Jackpot, Incredible Hulk, Funky Fruits and others. 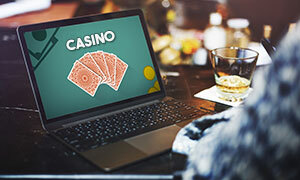 Players can enjoy around 300 online games, including table games, live dealer games, card games, slots, jackpots, mobile games, video poker, scratch cards and others. 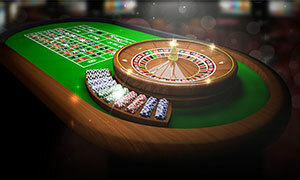 Roulette and many of its variations such as French Roulette Multiplayer, 3D Roulette, Premium American Roulette are among the games that can be also found on the casino website. Some of the live dealer games that can be played in the live casino are Live Triple Blackjack, Unlimited Blackjack, Live Casino Hold Em, Live Dual Roulette, Live Baccarat, Live Triple Roulette, Live Prestige Roulette and others. 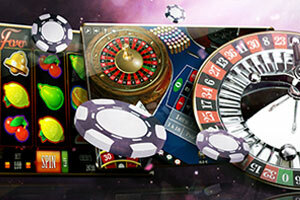 Its mobile casino is user-friendly and it’s compatible with most commonly used mobile devices – Android and iOS. Players have the chance to play Mobile Slots, Video Poker, Roulette, Blackjack and other interesting games at the comfort of their home. Players can make deposits at this online casino by using Instadebit, iDebit, Citadel Instant Banking ,Credit Card, EntroPay, Swiff, Paysafecard, EcoPayz and Neteller. Players can choose from 13 currencies – GBP, EUR, USD, SEK, DKK, AUD, CAD, NOK, CHF, ZAR, NZD, JPY and HKD. Casino.com is available in a number of languages, including English, Chinese, Spanish, Italian, Norwegian, German, Finnish, French, Japanese, Greek, Polish, Dutch, Swedish and others. Players can get in touch with a customer support representative via phone or email. For any urgent matters, UK players can dial 0808 238 6049. The rest of the casino customers can call on the international number of the online casino +350 200 44793. In order to receive assistance via email, they can send an email at support@casino.com. The customer support team is available 24/7 and is ready to help in a timely manner. The casino provider has a remote operating licence issued by the UK Gambling Commission. It is also regulated by the Government of Gibraltar. Casino.com has the ambition of becoming the very best casino on the web which explains why it has picked top software developer Playtech to supply its games. The operator strives to deliver a very exciting and dynamic gambling experience to all its players, who have a choice from over 350 top-rated games from popular categories like video slots, progressives, video poker, blackjack, roulette, and baccarat. Following a registration and a hassle-free deposit, one is also given access to an exciting live dealer category with classic casino games streamed live from Playtech’s professional studios. The Playtech software platform is available in all three popular formats. You can install it on your desktop computer, play directly in your internet browser, or access the gaming selection on the go via your mobile device. A native application for iPhones and iPads is available at the App Store as well. 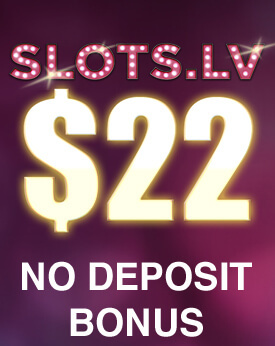 Casino.com is home to a great variety of thrilling classic and advanced video slots. Some of the slots on offer are easy to recognise thanks to their cool special features, big winning potential, and appealing design. Yet, Casino.com will not settle for anything less than offering the latest Playtech releases to its vast community of reel fans which is why the operator is constantly expanding its collection and adding the newest slot games developed by the leading supplier. Some of the coolest titles you can find in the portfolio include Gladiator: Road to Rome, Epic Ape, Terminator Genisys, The Mask of Zorro, and Pharaoh’s Treasure Deluxe. Of course, you will find some of Playtech’s classics as well. You can put your luck to the test by spinning the reels of White Lion, The Matrix, The Pink Panther, and A Night Out. Some of the most preferred slots at Casino.com are part of Playtech’s branded collection of DC Comics-inspired slots. You can join your favourite superheroes on the reels of The Dark Night, Justice League, Superman II, Green Lantern, Batman vs. Superman, and Man of Steel. If polished video slots with sleek graphics and special features are not your cup of tea, feel free to try some of the old-fashioned 3-reel options as these are also on offer at Casino.com. Have a go at straightforward games like Funky Monkey, Tropic Reels, and Ugga Bugga. Few games capture the spirit of casino gambling as perfectly as the game of roulette does. You will find a satisfactory number of roulette variations in Casino.com’s Table Games category. The game is very simple and easy to learn but if you are a total rookie, you can master it by playing the available variations in practice mode. Casino.com caters to all types of players, so it does not matter whether you prefer to play it safe with low stakes or enjoy betting big like a high roller. Either way, you will find virtual roulette tables with limits that fit your personal preferences. You will benefit from the games’ amazing sound effects, user-friendly interface, great functionality, and realistic graphics and animations. Additionally, the roulette variations at Casino.com are packed with useful features that can improve your chances of becoming a winner. You can take advantage of stats, previous numbers history, and information on the hot and cold numbers. The operator gives you the chance to play some of the most common single-zero and double-zero variations of this casino classic along with some more sophisticated variants like Club Roulette, Multi-Wheel Roulette, Multi-Player Roulette, 1000 Diamond Bet Roulette, and Pinball Roulette. Those of more limited means can try Penny Roulette where bets start at £0.01 for a maximum table limit of £20. No online casino is complete without a proper selection of 21 variations. Casino.com is an experienced operator and fully recognises the popularity of this classic card game, which is why it has added a good range of options for blackjack enthusiasts. Registered customers get to enjoy excellent graphics, utmost playability, and life-like sound effects that replicate the ambiance of the crowded casino floors across Las Vegas. In addition to this, Playtech’s blackjack games stand out with some rather cool functionalities that enable you to customise your gameplay in accordance with your preferences. You can track your game history in real-money mode, change the colour of the tables’ baize, and choose from three different kinds of background sounds. The warning messages the games display would prevent you from suffering losses due to haste or lack of concentration. 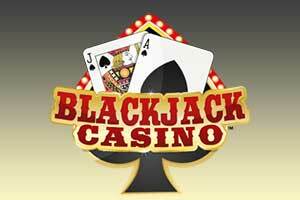 There is a little something for all types of blackjack players, no matter how big or small their bankrolls may be. The table limits are broad enough to accommodate all budgets and styles of play but vary depending on which blackjack game you engage in. One of the variants, Blackjack Pro, even enables you to set table limits you are comfortable with as soon as the game loads, with the option to choose from £0.50 – £50, £1 – £100, and £5 – £500 limits. The limits in Double Attack Blackjack are some of the lowest at £0.50 – £10. Some of the variants like American Blackjack are more suitable for high rollers since the table maximum goes as high as £1,000 per hand. Other interesting varieties of the classic game include Blackjack Switch, Perfect Pairs, Cashback Blackjack, and Multi-Player Blackjack. The All Bets Blackjack variation supports all side wagers you can possibly think of on a single table. Video poker is hugely popular among players at Casino.com and there is a good reason why – you can beat the house in this game as long as you follow correct strategy to the tee. Indeed, Casino.com is not short of video poker variations, bringing you a host of games to choose from. All of those follow roughly the same rules and offer identical gameplay but the difference lies mainly in the paytables. The qualifying hands and the payouts they award differ between the video poker varieties offered by Casino.com. The games are designed with user-friendliness and playability in mind, which is why their look may appear a bit unpolished to some. However, this only works to the advantage of players, especially if they are novices who are not accustomed to playing video poker on the internet. Jacks or Better is easily the most popular variant you can find at Casino.com and the coolest thing of all is that the single-hand Playtech variation offers you full pay of 9/6 for a full house and a flush. Feel free to try out some of the other popular options like Deuces Wild (a 4-line variant is also available), 2 Ways Royal, 10s or Better, All American Poker, and Mega Jacks, which is practically the progressive version of Jacks or Better. At Casino.com, you will find a truly amazing versatility of progressive jackpot games you can win huge amounts at, with nearly 50 distinct titles to choose from. The operator does not limit the massive jackpot prizes to video slots only. Of course, many of the progressives are indeed slots but you also have a choice from various progressive table games and even video poker varieties. Playtech is acclaimed for its progressive The Age of Gods collection which spans a variety of slots and table games that borrow their themes from Greek mythology. All mythology-inspired games are connected to Playtech’s progressive network which spans all casinos utilizing this platform. And you know what this means – the jackpots skyrocket to staggering amounts over a very short course of time. Some of the best-loved options from this category include God of Storms, Goddess of Wisdom, Prince of Olympus, and Fate Sisters but a progressive version of The Age of Gods Roulette is also on offer. To boot, all the slot variations from the DC Comics series are progressives as well, offering you the opportunity to become a million or two richer on a single spin of the reels. Of course, being a Playtech-powered website, Casino.com also features the developer’s most iconic progressives like Jackpot Giant, Gladiator, Gold Rally, and Frankie Dettori. Some of the table games also carry a huge potential for rewards, including options like Dragon Jackpot Roulette, Progressive Multi-Player Blackjack, Caribbean Stud, All Bets Blackjack, and Mega Jacks. The operator brings the glamorous world of landbased casino gambling at its players’ fingertips by hosting a variety of live games in its Live Casino section. These are iconic casino games like roulette and blackjack where a human element is involved since the tables are operated by living, breathing dealers in real time. The gaming action takes place in Playtech’s professional live dealer studios and is brought to your desktop or mobile screen in excellent HD quality. The live games stand out with some cool features that further customisation. For instance, you can change the camera angle, load the game in full screen, chat with fellow players, and view previous hands history. Some of the tables accept bets of up to £5,000 per coup which makes Casino.com’s live section a true paradise for high rollers. The games that appealed to us the most include Grand Blackjack, Football Unlimited Blackjack, Baccarat Squeeze, Casino Hold’em, UK Roulette, and Slingshot Roulette. How does Casino.com assure high level of protection to its players? In order to manage to protect its customers’ sensitive information efficiently all the time, the online casino has taken a number of security measures, among which are the RSA encryption and Firewall. 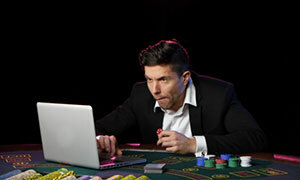 Casino.com assures that with such reliable security systems, its players’ data is fully protected and making a deposit or withdrawing money have proven to be even safer than paying in a local shop. What it takes to play at Casino.com? In order to start playing at Casino.com, players first have to download its software which is completely free of charge. This way, they can enjoy a wide range of games that has impressive graphics and transparent audio on their most preferred and trusted web browser. What is the best way to keep updated about the special deals and bonuses of the casino? If players want to make sure they won’t miss any exclusive promotions or bonuses, it would be best if they subscribe to the casino. This way, they will be able to successfully keep an eye on the great deals which will improve their gaming experience online. It is always a good idea to check these email regularly and look for special monthly promotions, especially during weekends. How can players get familiar with the game rules prior to playing? Players can find the rules of the available online casino games in the help section. There, they will be able to not only refresh their memory regarding them but also read some useful information how the casino software functions. How can players make a deposit? 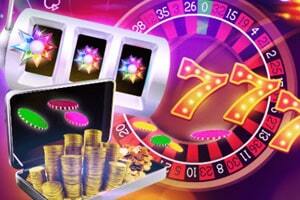 In order to make a deposit, players first have to download the software of the online casino. After that, they have to register and get a Real Money account. What follows next is to sign in, find the Cashier tab and simply select the most convenient payment method. I have tried tens of online casinos and very few of them are as good as Casino.com, although the games here are provided exclusively by Playtech. It would be nice if the site was working with more software providers because right now, it is visited mostly by Playtech fans. For half of my favourite games, for instance, I need to go to other casinos. Except for this one setback, the site is perfect, whether you are looking for slots, roulette, blackjack, or even live dealer games. The casino has a software you can download, but so far, I haven’t tried it, because the Flash casino has smooth gameplay and sharp, clear graphics. Overall, this is a safe, dependable online casino and even if you don’t claim the bonuses, you will have a great time playing here. This is currently one of the most respected casino sites and for a good reason – it’s totally safe, secure and reliable, while the games are of various categories and genres. The support is great, which is very important for websites where you put your real money, after all. In my case, I made one deposit, played for a week and when I decided to cash in, my withdrawal was on “pending” for several days. When I contacted the casino representatives, they asked me to send them copies of my ID and credit card in order to verify my identity. This process took another 3 days, but in the end, I was able to withdraw my winnings without any further problems. Since then, I haven’t had any issues, so I’m coming back for sure. This is a Playtech casino with an outstanding collection of games. As a fan of this particular provider myself, I have tried many other online casinos and this is definitely among my favourites. I’m also grateful to the customer support staff, who are very friendly and respond within minutes. The payouts are not very fast, though, even after I submitted my verification documents. I think withdrawals are processed much faster if you a VIP player, which sadly, I am not. Other than that, I’m completely satisfied with my experience and would love to keep playing here, especially at the live casino where new roulette and baccarat games were recently added. Casino.com is one of my all-time favourite gambling sites for more than just the great selection of games. Indeed, there are hundreds of Playtech titles, including some of their most popular progressive jackpot games. As I said, however, the gaming library is not the only important thing when choosing where to gamble on the Internet – safety and convenience are just as essential, in my opinion. And this online casino offers players high levels of protection, keeping all banking and personal data private. The payment services are also made simple for customers to register and use, while at the same time, deposits are instant and withdrawals are usually processed within 3 business days. The games at this casino can be opened in-browser, but also after installing the casino software. I still haven’t tried the casino client, but I downloaded the mobile app for iOS and I am really impressed – it has more than 200 slots, blackjack and roulette games, as well as my favourite progressive jackpot games. The bonuses for desktop and mobile users are the same, I think – a 100% match bonus of up to £400 on the first deposit, plus 200 free spins, 20 of which are given automatically upon registering. There is one thing the casino should consider changing – I need to wager the bonus amount at least 40 times before I can make a withdrawal. At least there are great games I can play while trying to meet this requirement.